Freshwater fish are a fish that spend some or whole they live in freshwater. They live on river or lake, some can grow big and some of them only have a few inch body. Just like saltwater fish, most of the freshwater fish is also used as a food fish and partly used as aquarium fish to fill our aquarium at home or office. There are so many species of freshwater fish, an estimated 41% of fish populations around the world are freshwater fish, while the rest is saltwater fish. These fish live and develop in accordance with the characteristics of the region so that we can find one with a variety of fish species, especially on the color so that sometimes we can only see a certain species of fish at-a particular area only. To help you locate and identify the types of freshwater fish, below I've compiled a list of freshwater fish. 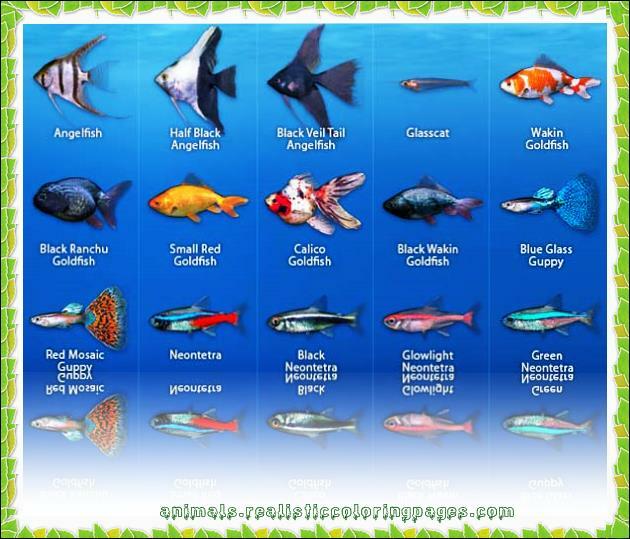 In the list of names of freshwater fish species were compiled based on the alphabet from A to Z below I also have equip it with a scientific name and a picture of each of the fresh water fish. In the future I will also attempt to display a list of freshwater fish based on certain areas such as the list of Australia's freshwater fish, freshwater fish list from the USA, UK, India, Germany, Philifina, and other countries, please be patient!. To see each freshwater fish list a-z with pictures below, please click on the link of each letter of the alphabet as the sum of the total freshwater fish is very much so I need to divide it by letter of the alphabet to show it, I hope you do not mind!.